High- and medium-resolution powder diffraction patterns can confirm structure or phase. 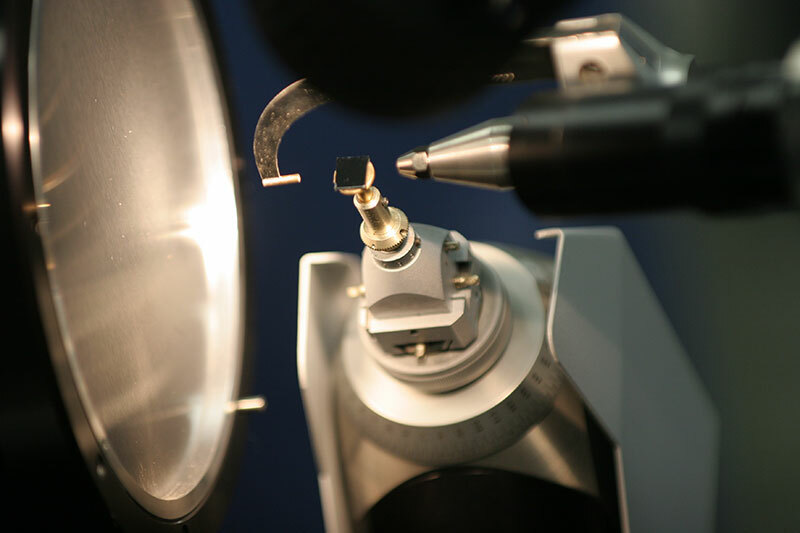 Texture and residual stress analyses give information about polycrystalline solids, orientation analyses of electronic thin films or nanowire surfaces. Cobalt radiation is used for ferrous materials to eliminate fluorescence. This is especially important for details about processed steel surfaces. Phase analysis, preferred orientation, and visual evidence of granularity of various phases – important for treated surfaces. 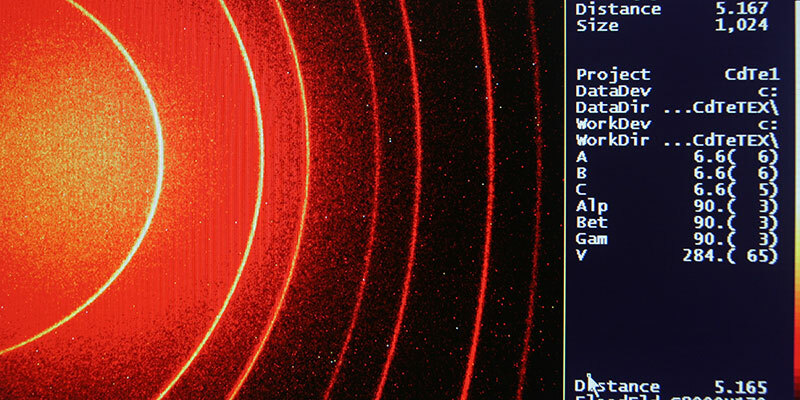 Grazing incidence diffraction is suitable for analysis of metal coatings or nanolayered electronic films on substrates, to identify multiple layers with different phases. Finally, single-crystal X-ray diffraction is used to determine molecular (organic, organometallic, inorganic, polymeric) structure, including determination of absolute configuration. We can also determine solid-state structures using this technique. The McMaster Regional Centre for Mass Spectrometry has been serving the R&D needs of industry in Canada and the US since it first opened in 1986. 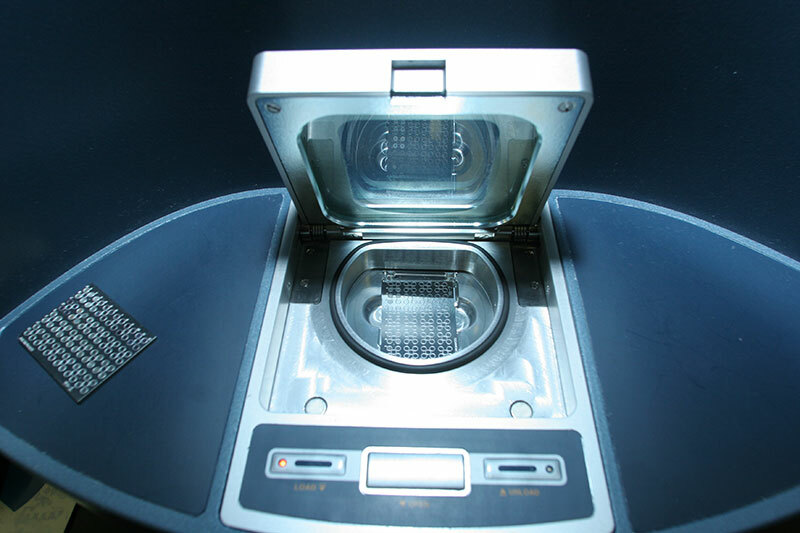 Low resolution ESI (MS and MSMS) measurements can be run under GMP for API (active pharmaceutical ingredient) analysis. 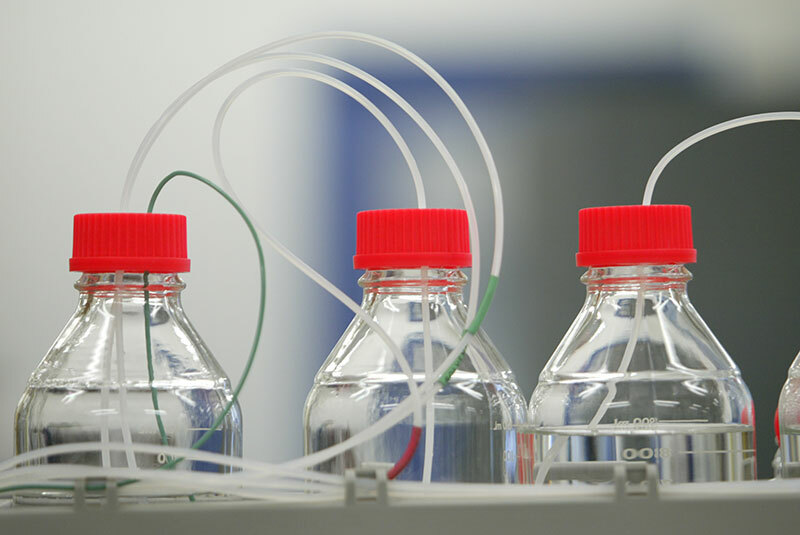 A variety of ionization techniques are available to analyze a wide range of analyte types in different matrices, including electrospray ionization (ESI), atmospheric chemical ionization (APCI), electron ionization (EI) and chemical ionization (CI). Generally, these low resolution measurements are most useful for molecular weight determination. EI yields rich fragmentation information and helps to identify compounds using database searches and spectral interpretation. High resolution MS and MSMS measurements are used to confirm or provide elemental composition information and as well, provide a pathway to structural elucidation. When combined with gas- or liquid-chromatographic separation, MS can be used to identify components of complex mixtures, and is a powerful tool for quantifying different components in a mixture. The Nuclear Magnetic Resonance (NMR) Laboratory has a long history of collaboration with industrial partners, including those in the pharmaceutical, environmental, engineering, geology, biochemical and chemical manufacturing industries. Our team serves clients by providing high quality NMR data and expert structural analysis. 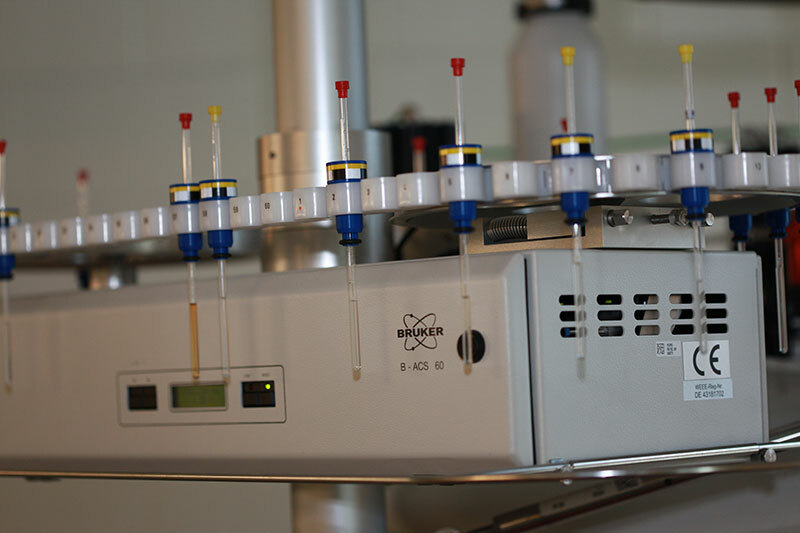 The NMR Laboratory can also operate under GMP conditions for API (active pharmaceutical ingredient) analysis. The Facility maintains several high-field NMR spectrometers, ranging from 500 to 850 MHz. 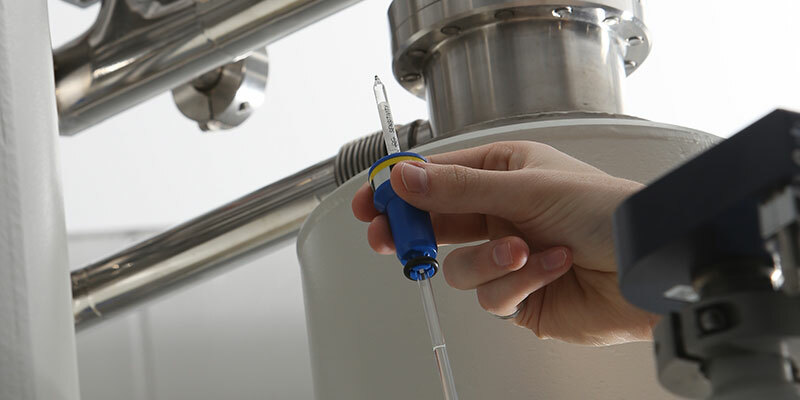 We have the capacity for both solid- and solution-state NMR analyses using a wide range of NMR-active nuclei, including 1H, 13C, 1H, 13C, 11B, 15N, 19F, 29Si, 31P as well as metallic nuclei such as 27Al, 23Na and 195Pt. NMR spectroscopy is a non-destructive technique and samples can be returned on request. Please give us as much information as possible and we will get back to you within one business day.